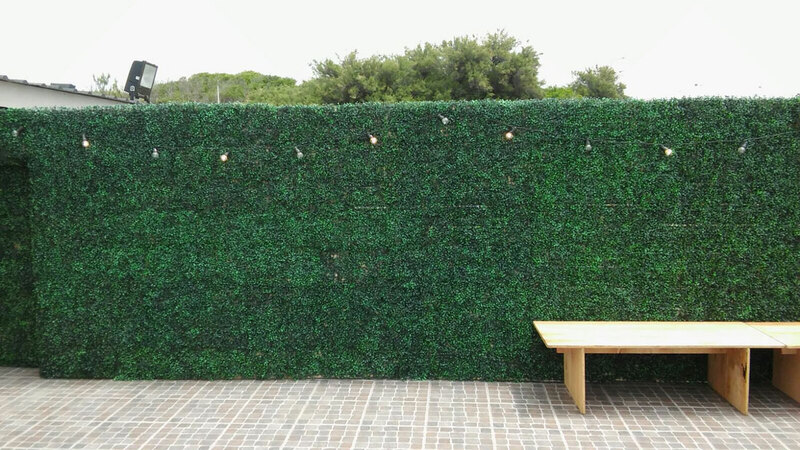 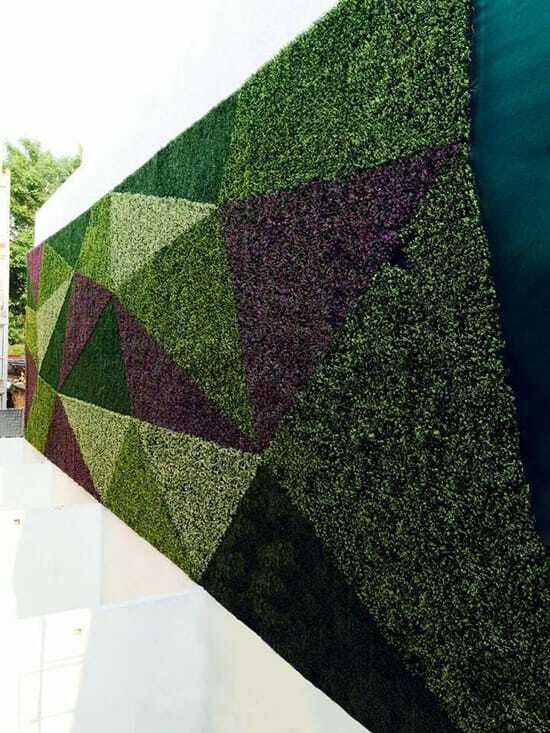 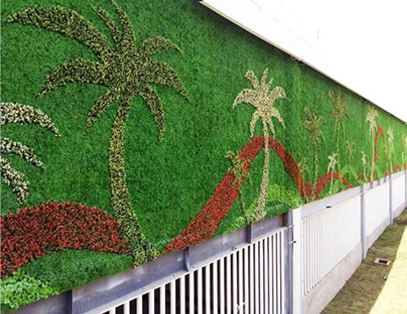 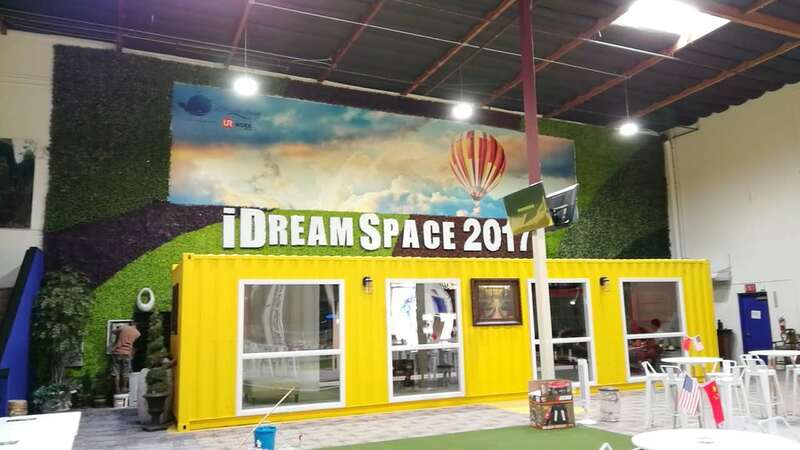 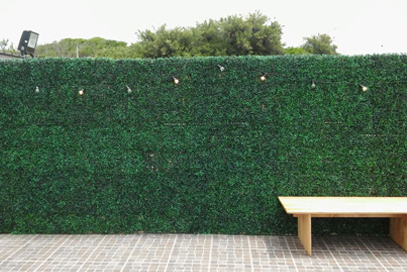 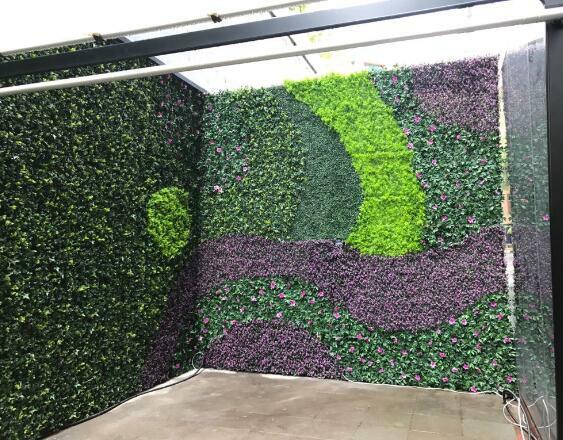 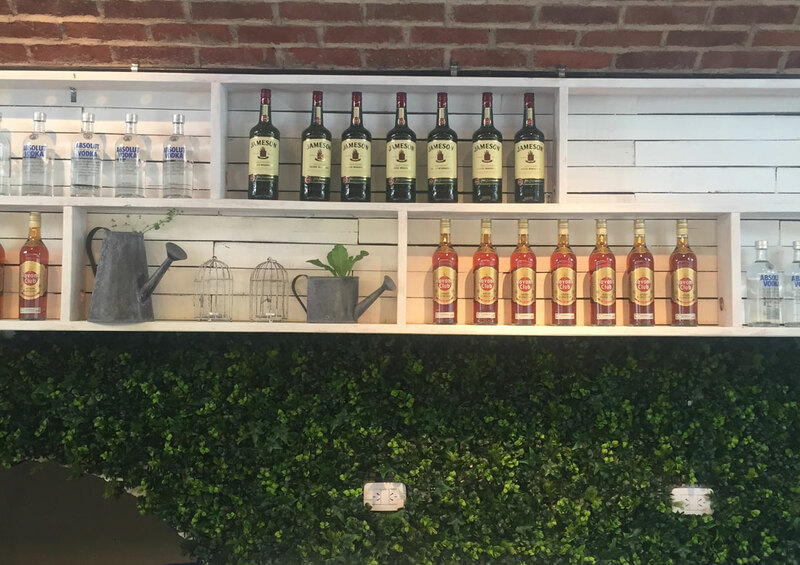 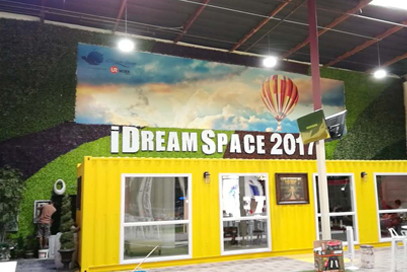 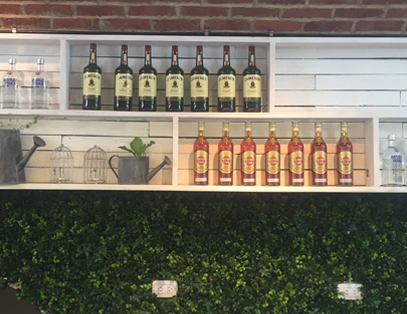 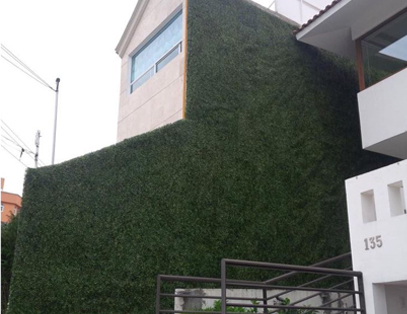 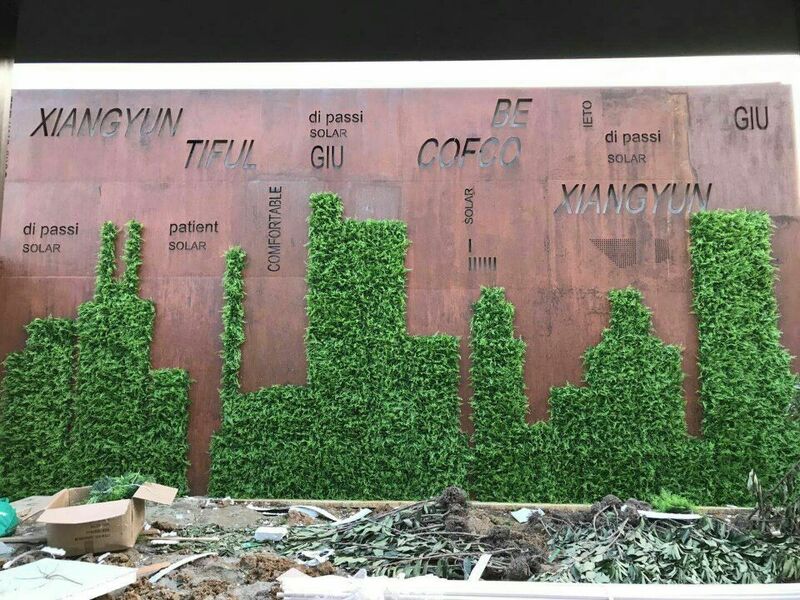 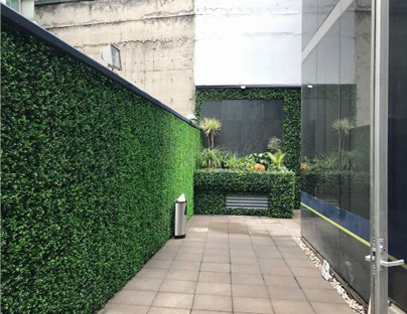 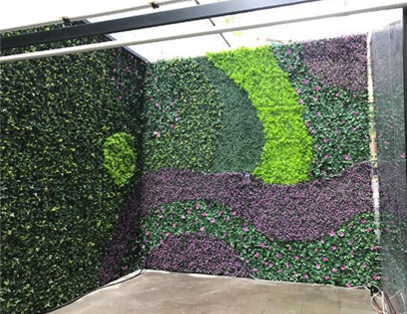 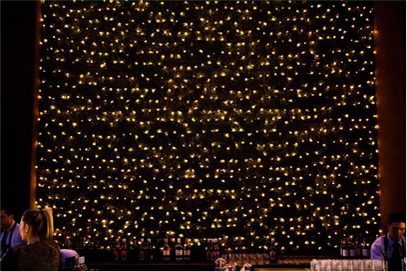 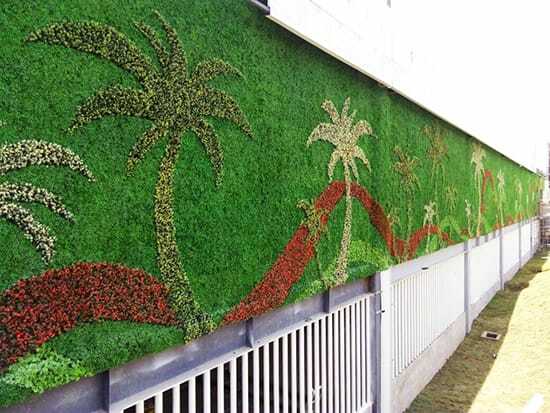 In Asia, many projects of huge wall design and landscape are made of artificial hedge plants for instant and easy greenery wall building, such as exterior naked wall landscape of commercial mansions, backdrop of large events and interior garden. 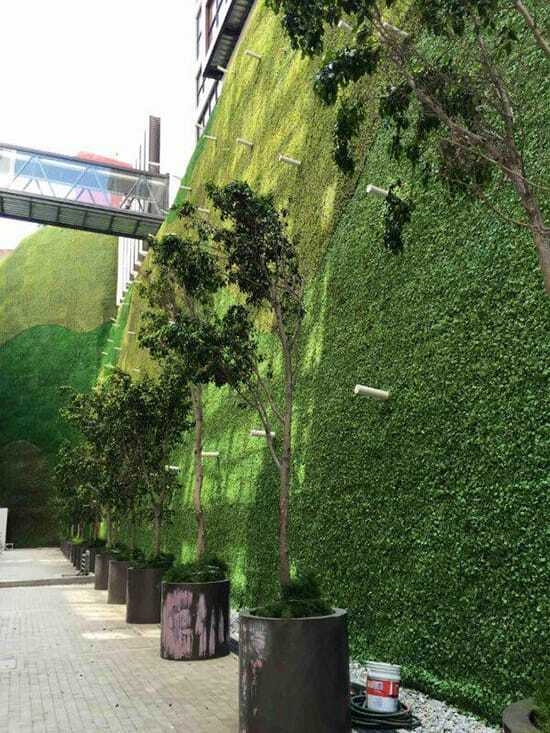 Artificial hedge wall brings instant nature-like beauty to those areas at less cost of long term maintenance, water consumption, management, money and personnel. 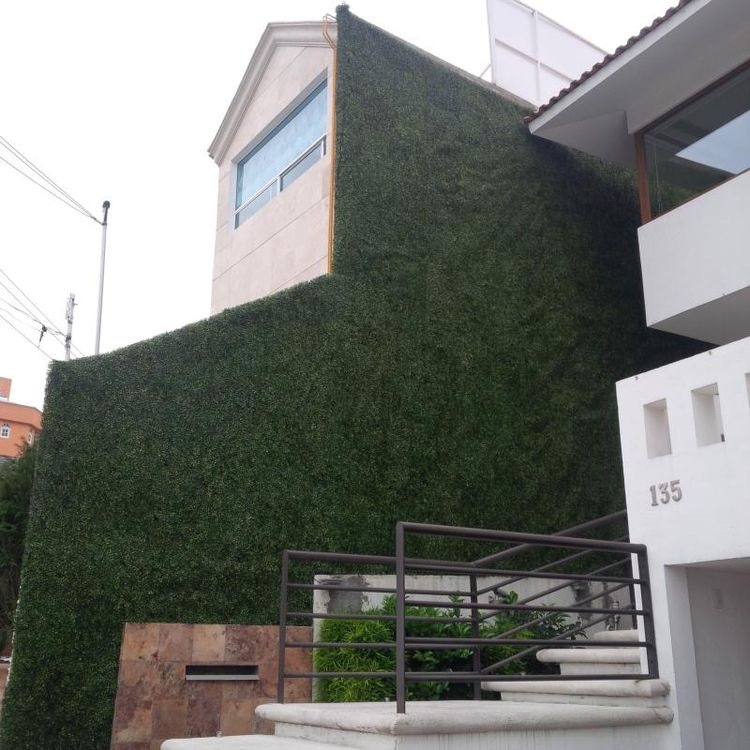 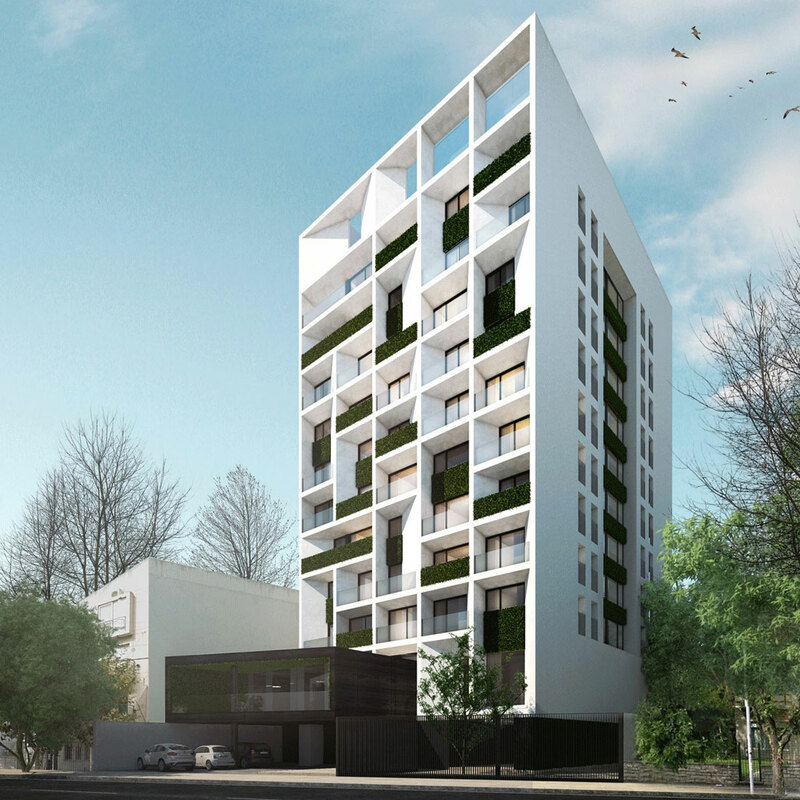 In Central America, most areas are in desiccation all year round, thus, urban greenery is an expensive project with high difficulty. 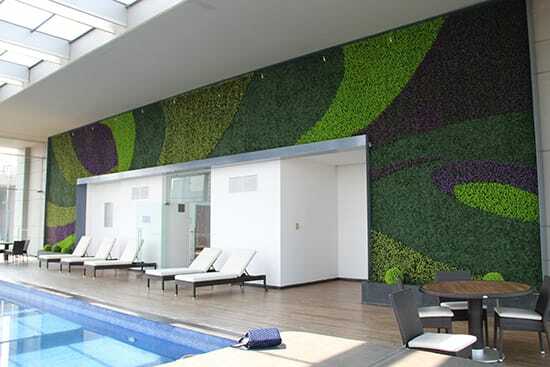 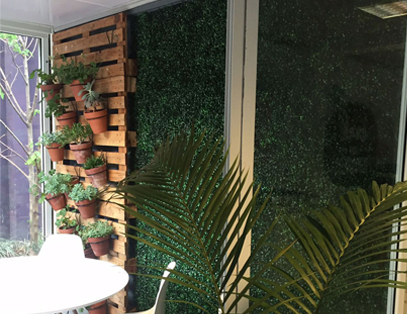 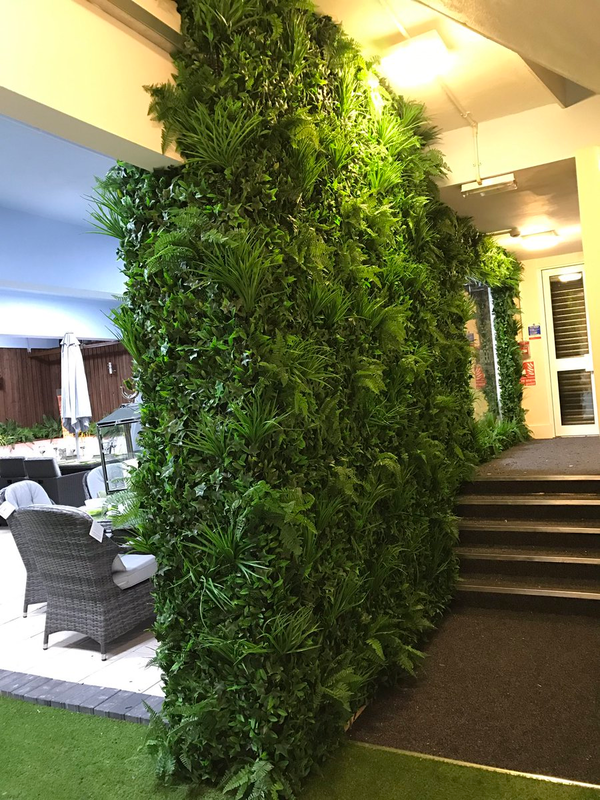 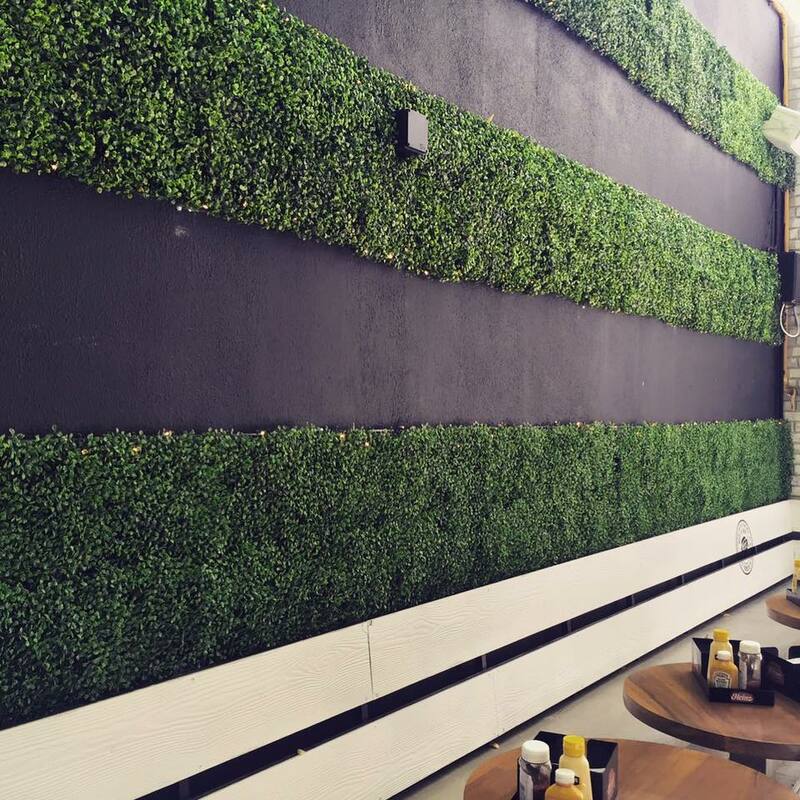 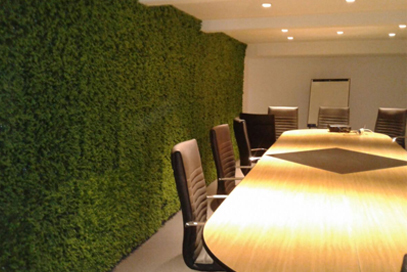 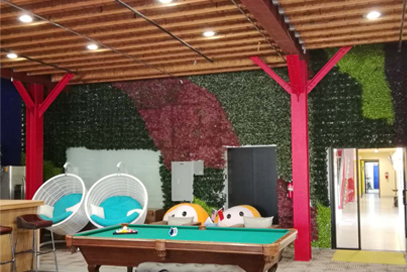 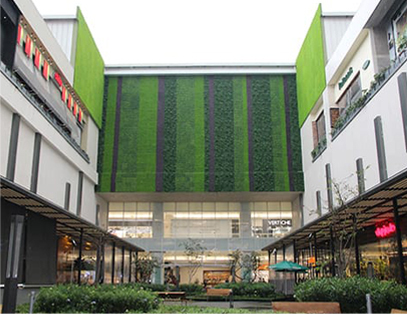 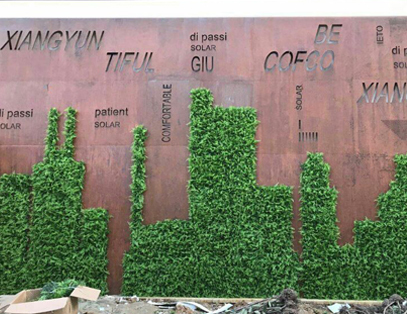 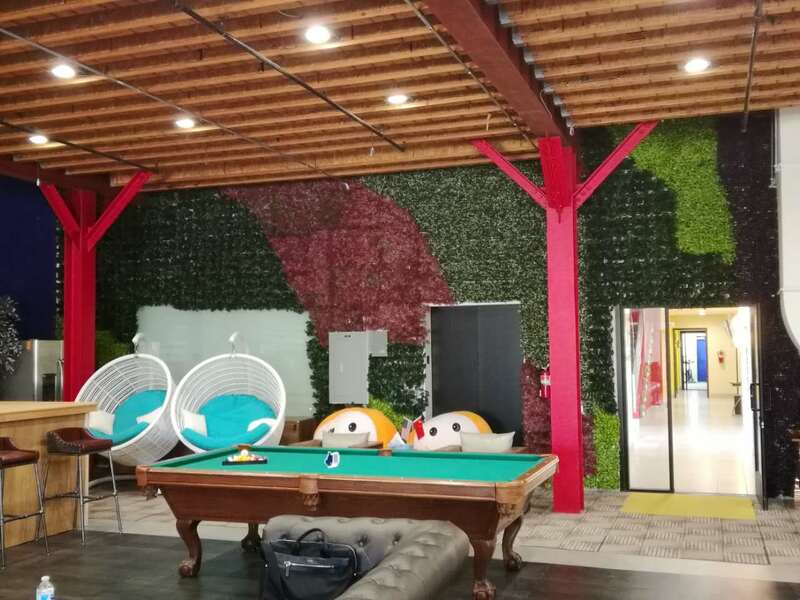 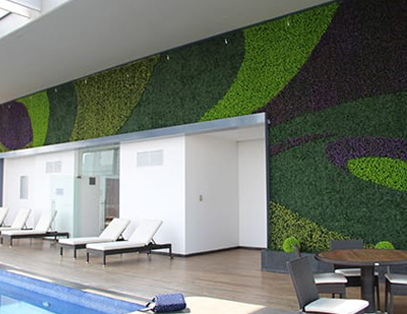 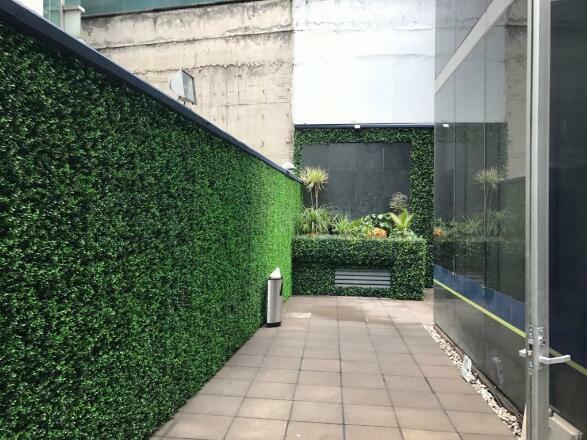 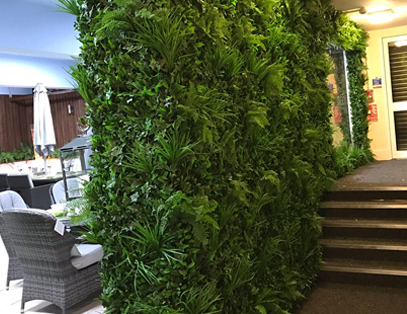 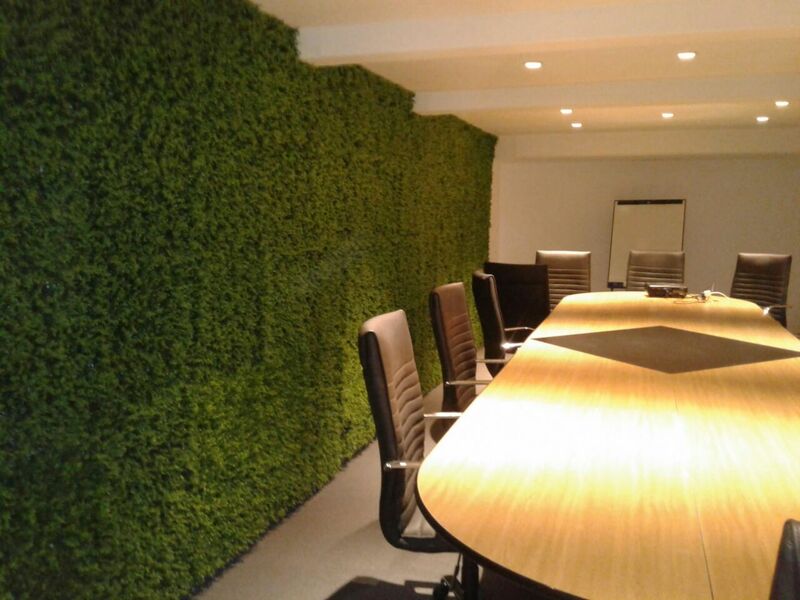 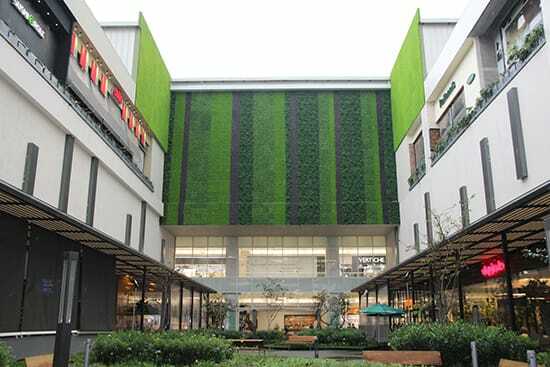 To make it easier, SUNWING artificial plants wall takes its role in this area, it is largely used for green wall, vertical garden, feature wall design, privacy screening, "sunshade" screening, etc.,very popular, its resistance to high temperature and fire has won great feedback from our distributors. 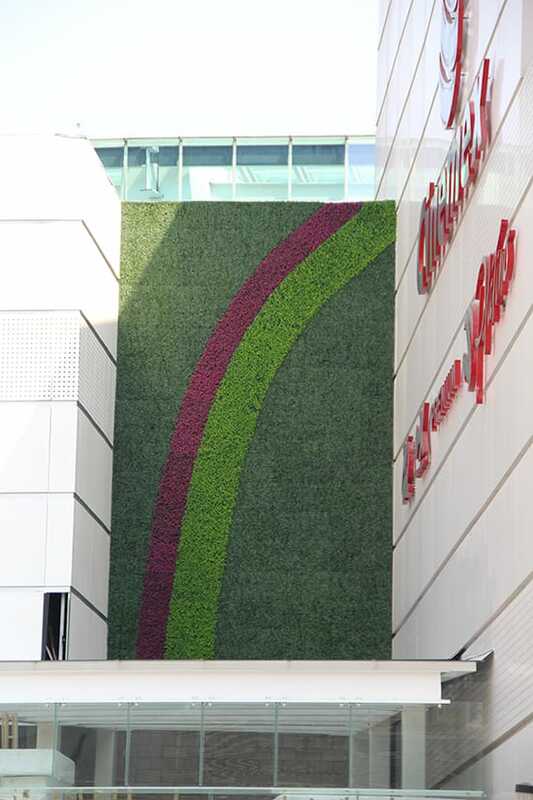 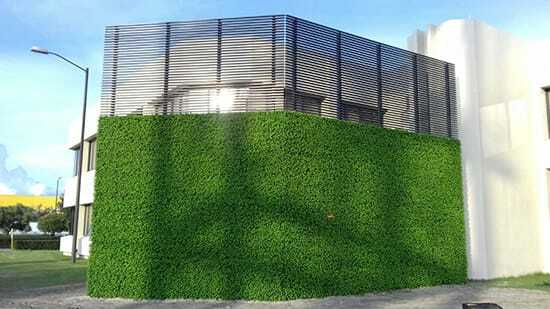 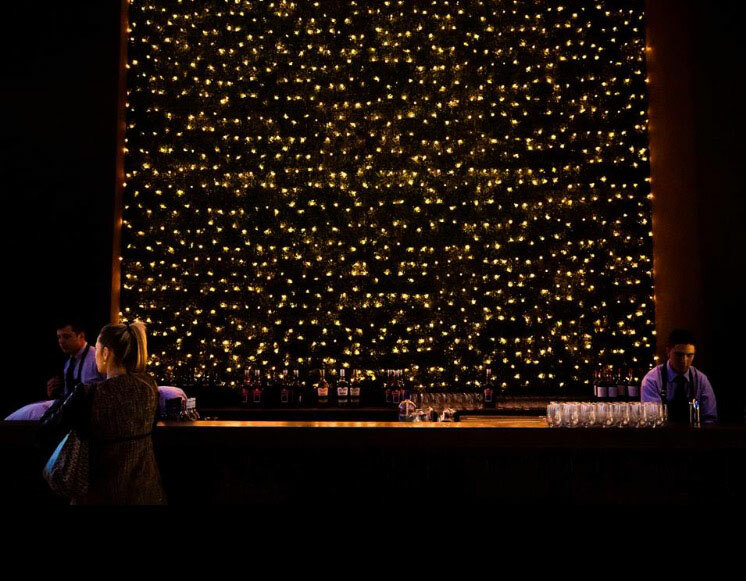 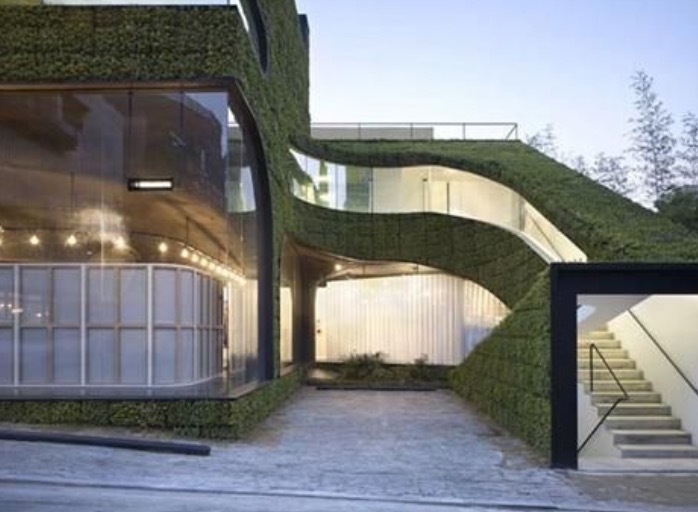 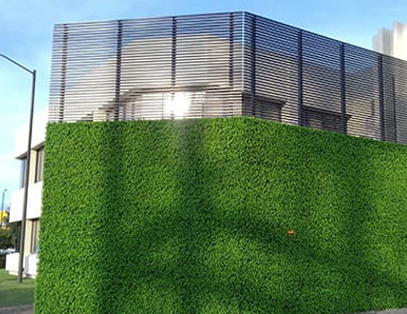 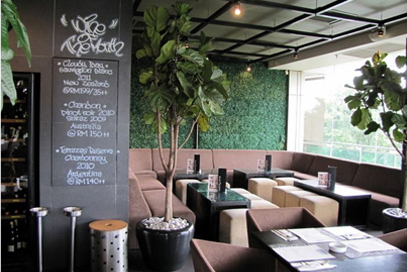 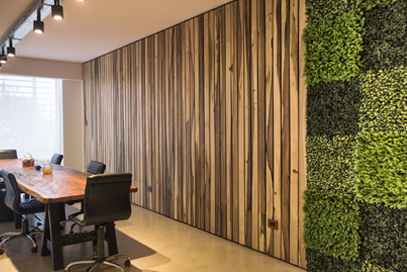 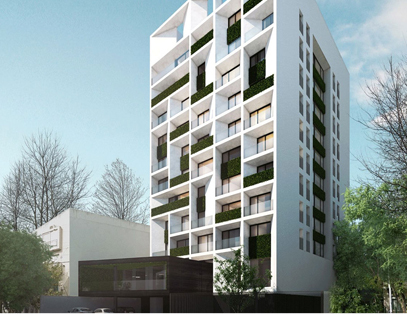 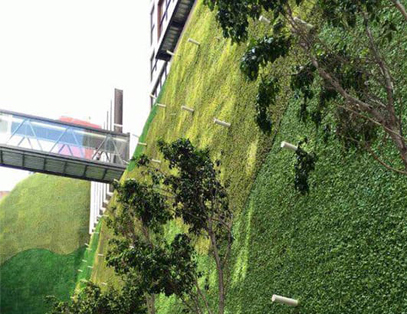 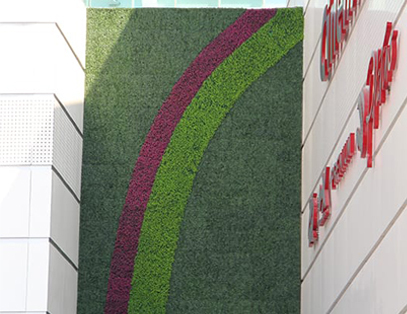 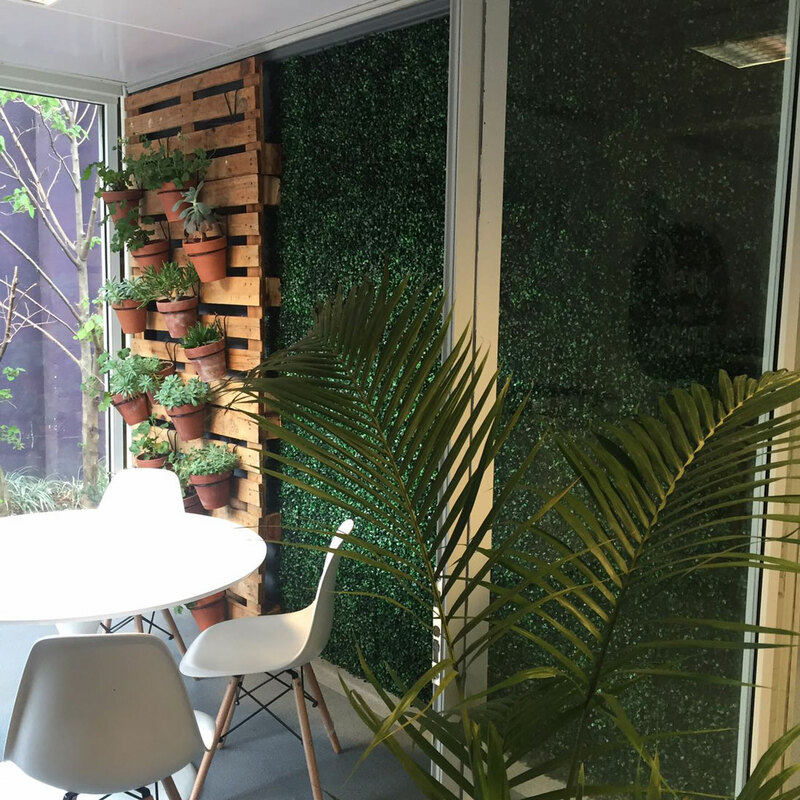 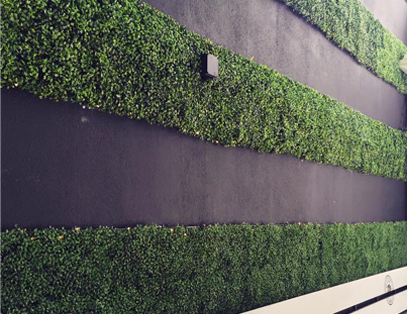 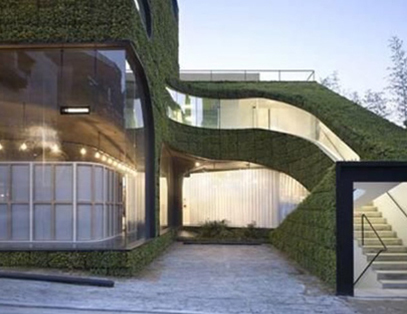 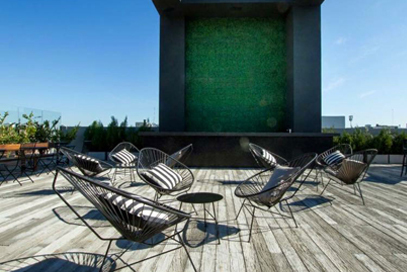 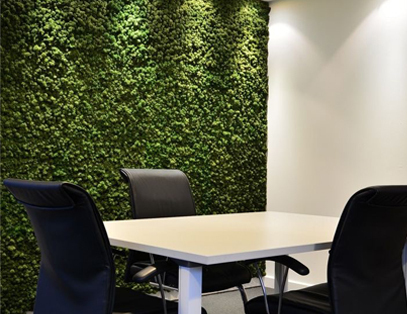 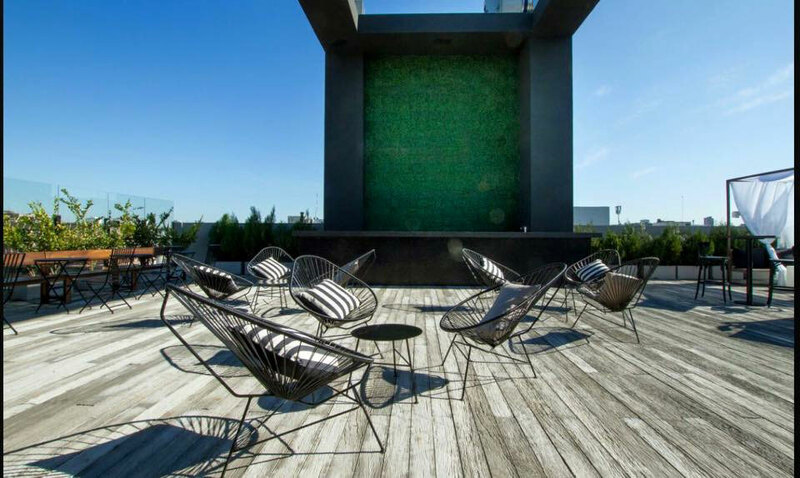 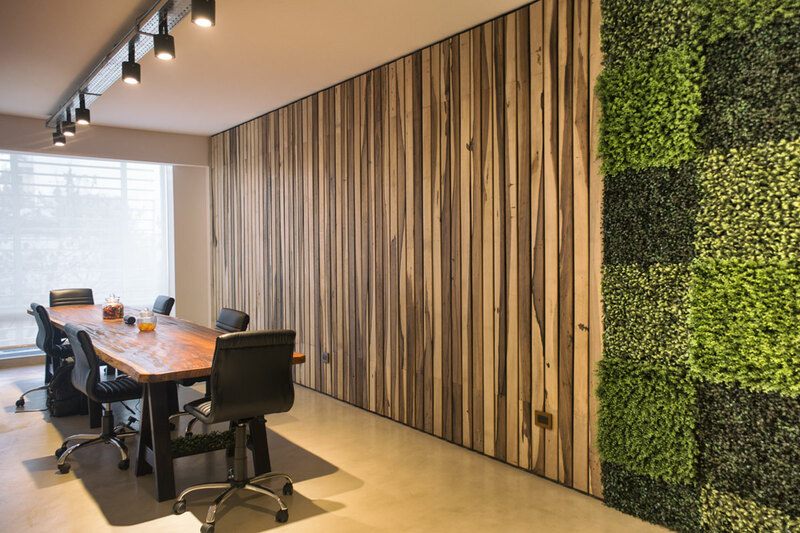 In Europe, artificial green wall plays a very special role for privacy screening building and instant green wall design. 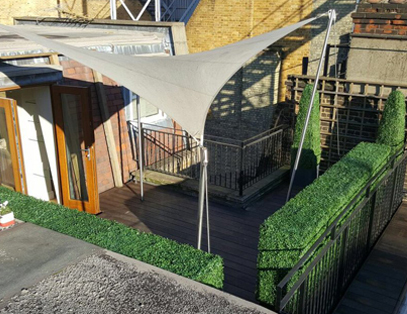 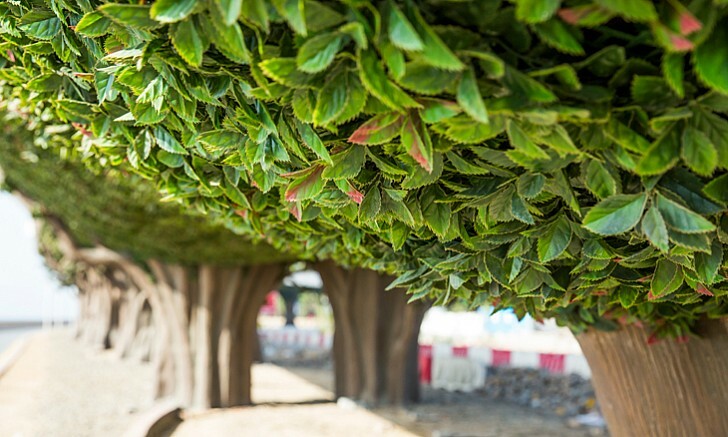 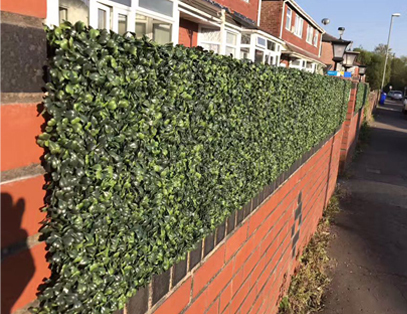 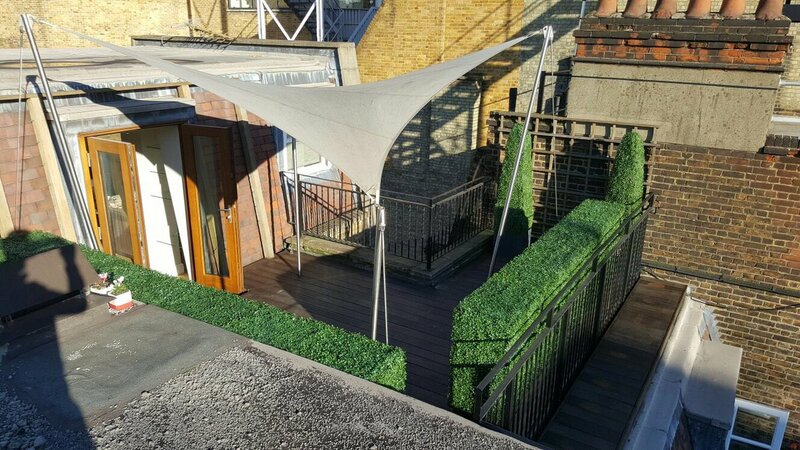 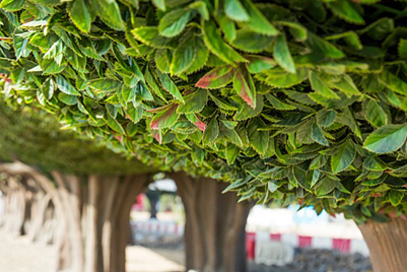 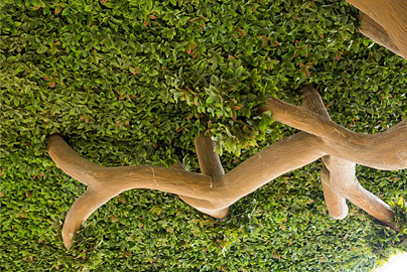 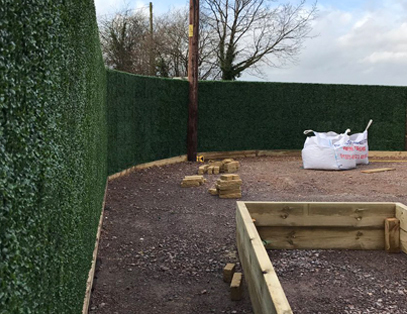 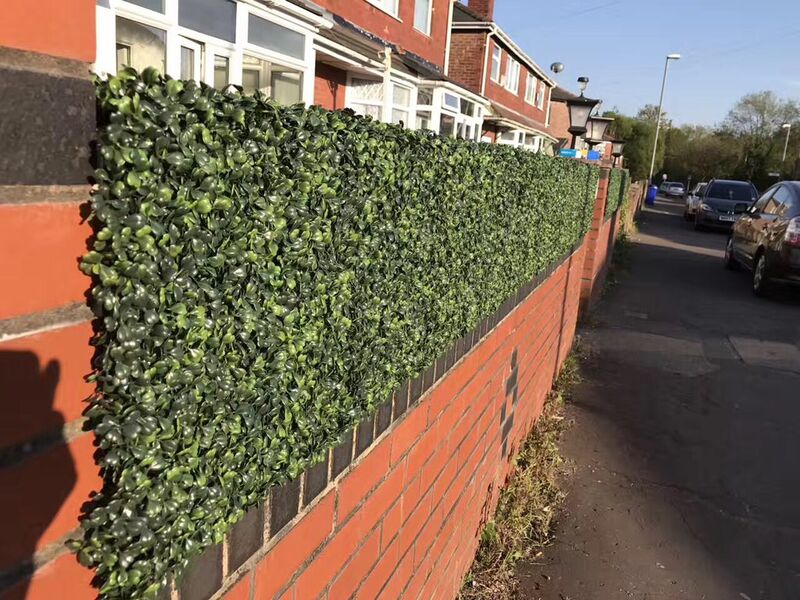 Our clients who distribute artificial hedges in the Europe have frequently discussed about it and mentioned that artificial plant landscape and gardening are favored by youngsters there. 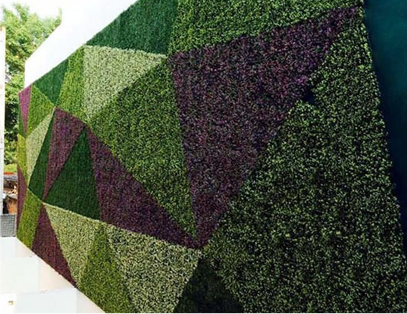 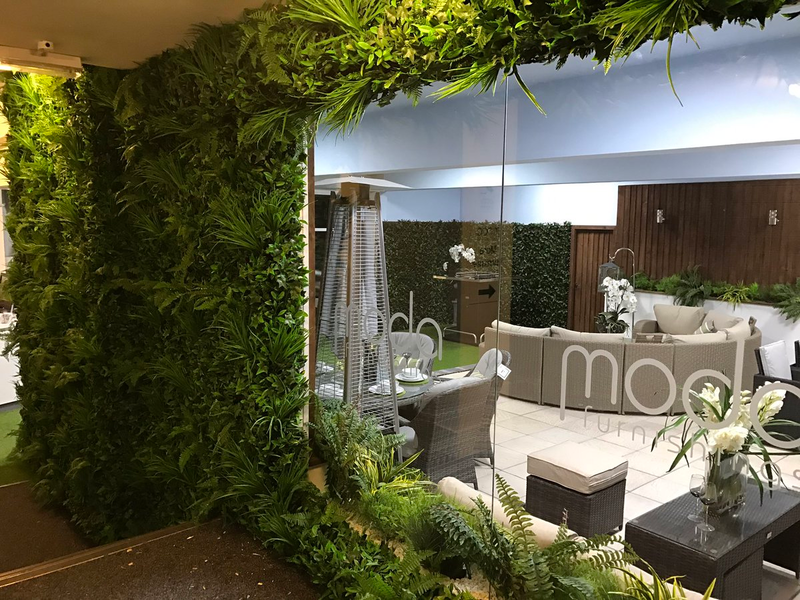 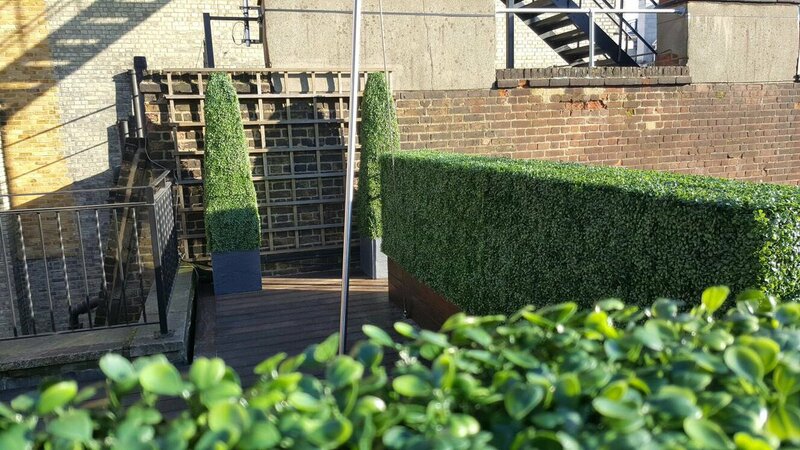 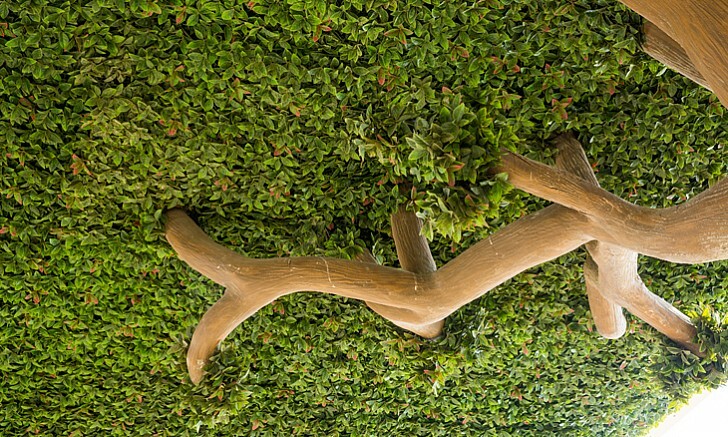 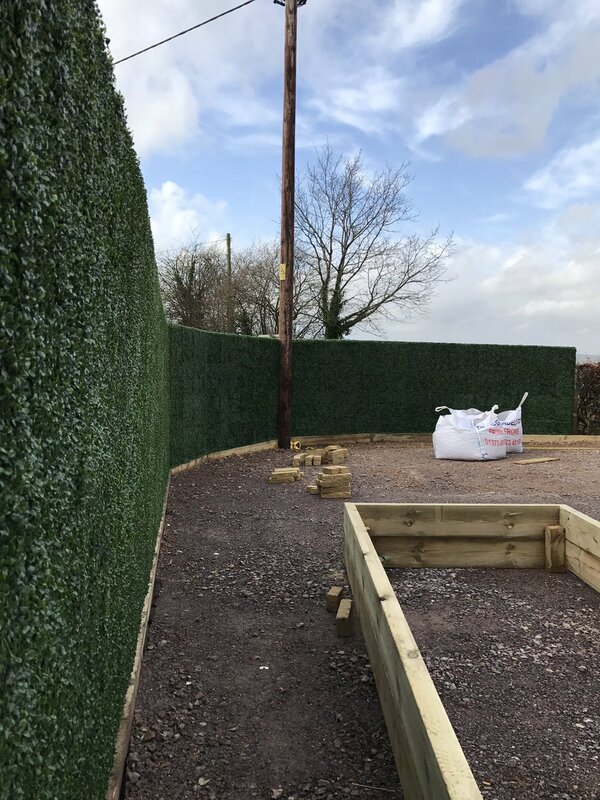 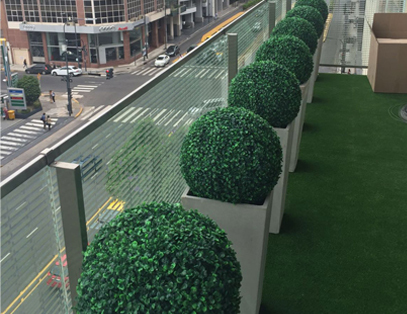 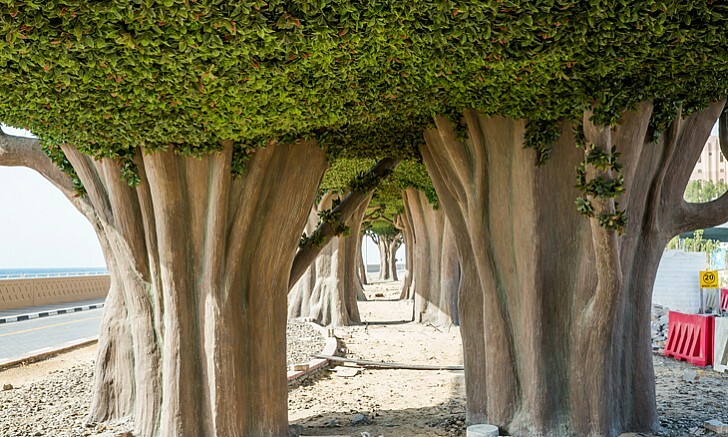 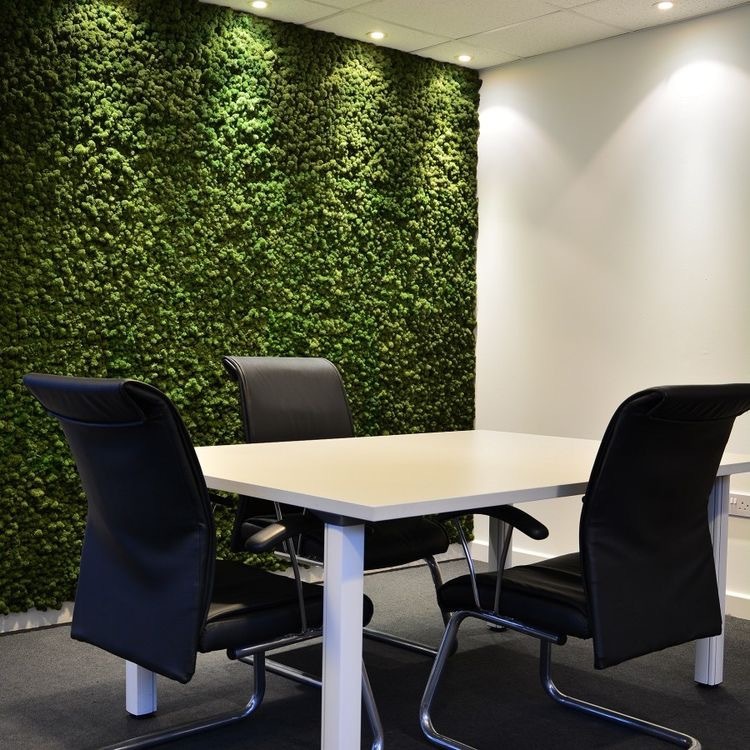 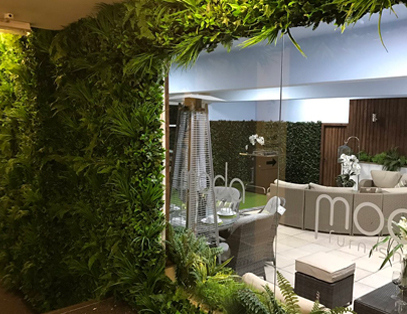 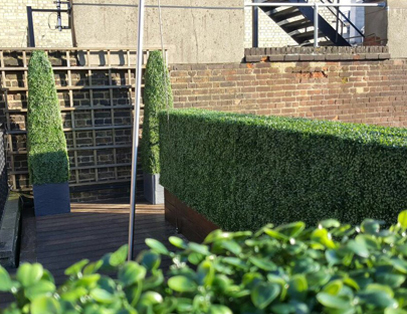 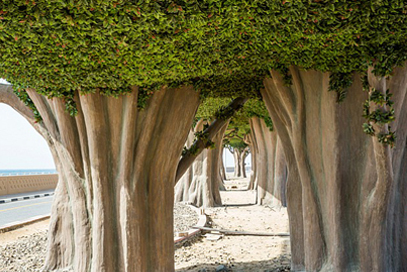 In the South & North America, artificial hedges and topiary are often used in many large greening projects and interior feature wall design to bring instant greenery charm or highlight plain atmosphere. 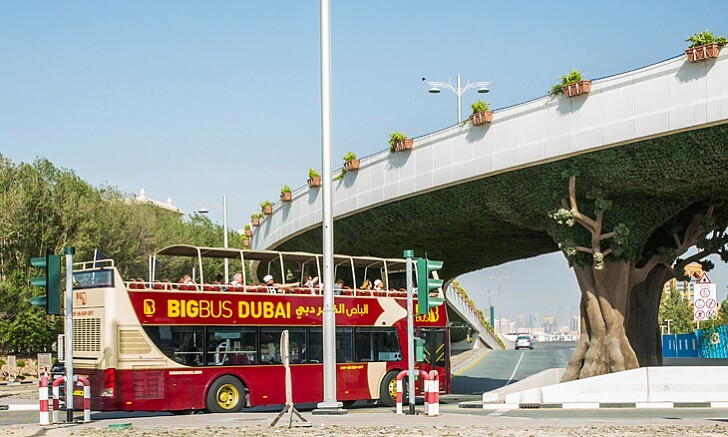 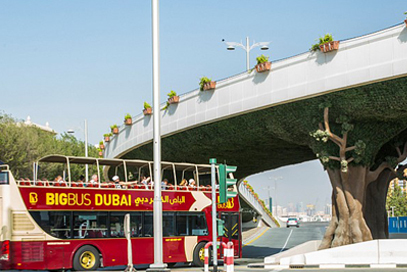 UAE is predominated by tropical desert climate, and water is very very expensive. 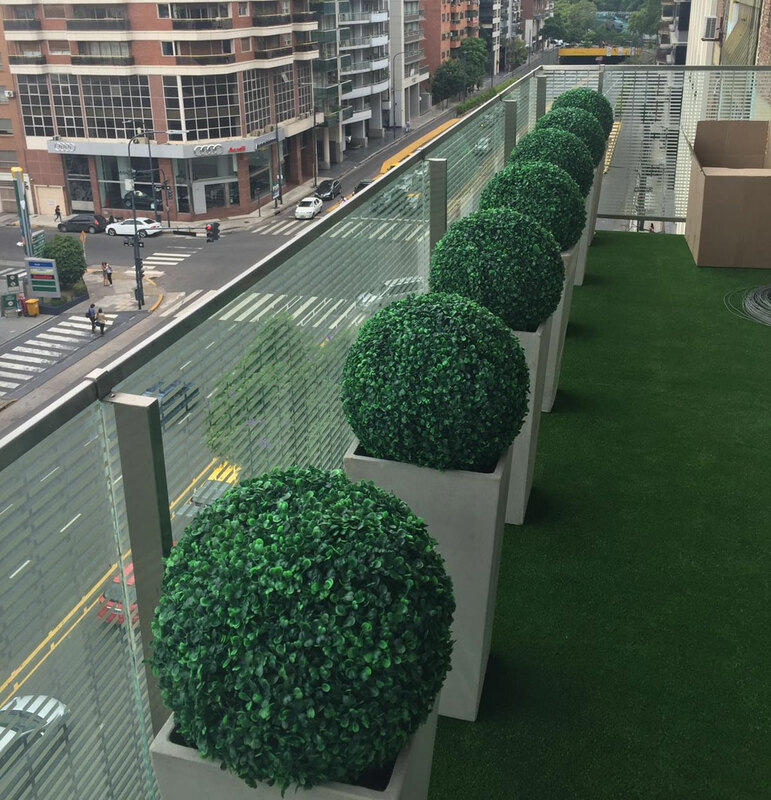 To make better landscape projects and build more aesthetic green urban, artificial plants are the best replacement of living plants. 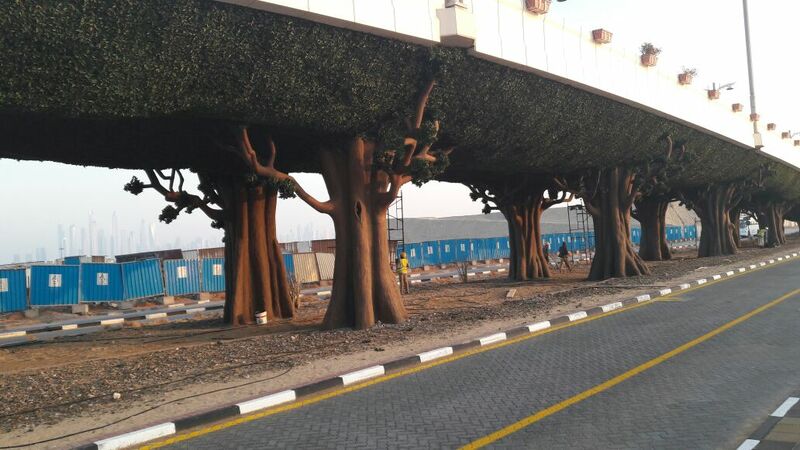 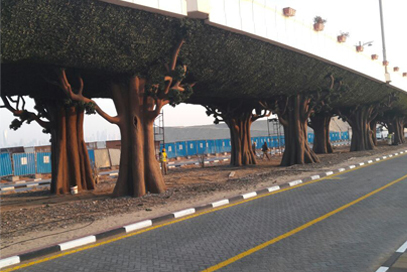 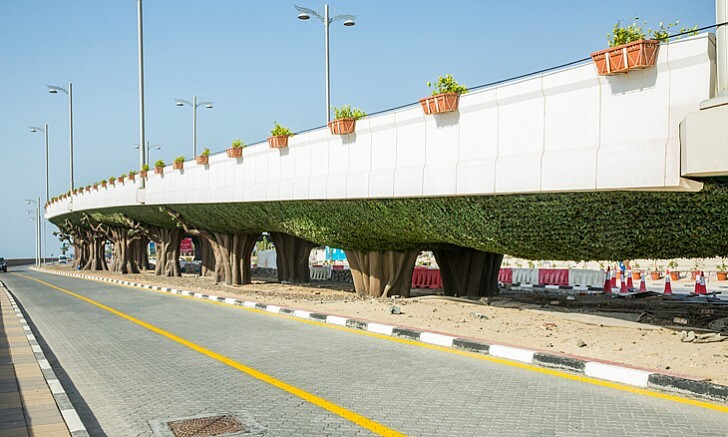 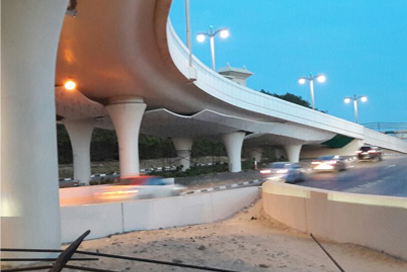 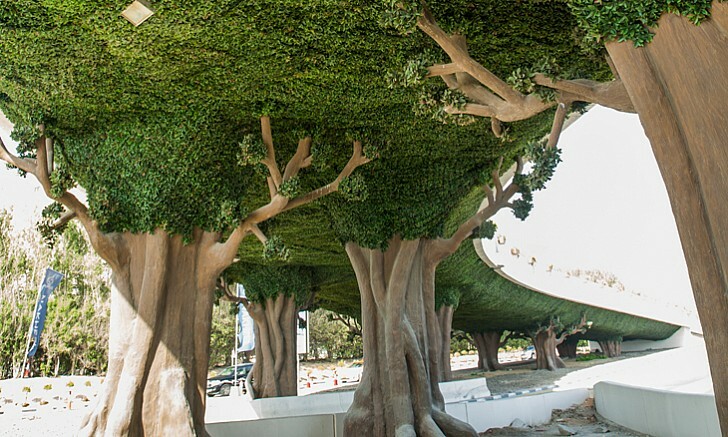 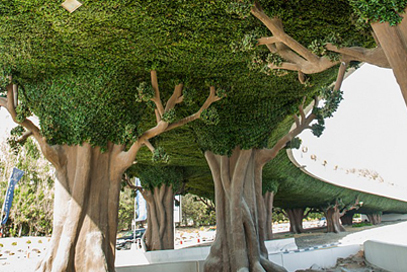 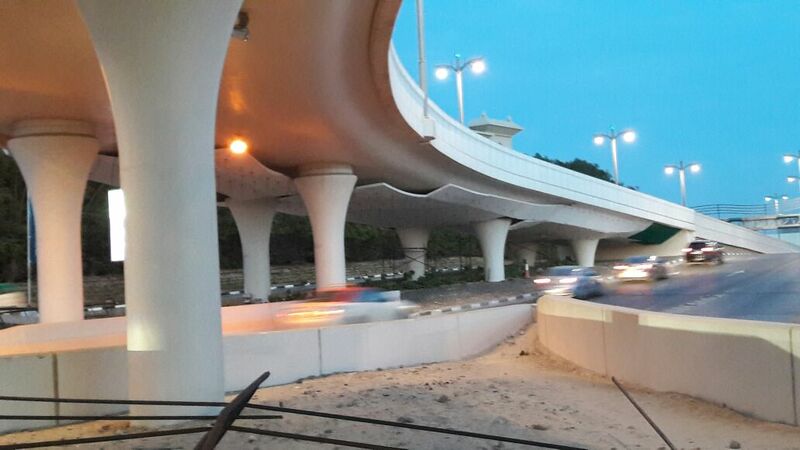 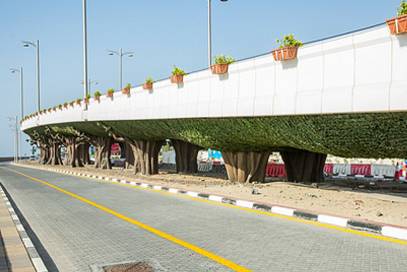 The following is one classic case where artificial foliage mats are used for highway bridge landscape.